Beverly passed away at the age of 84 on August 7th 2018. 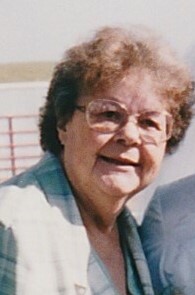 She was born in her family home in Lusk, Wyoming on November 11th 1933. Beverly married the love of her life, Richard Keith Hoy, on June 14th 1951. Beverly stayed in Lusk until Richard finished his basic training for the Navy, then they moved to Puerto Rico. That is where they had their first child. She was so happy. They then moved to the Leo Thompson Ranch north of Lance Creek for 14 years. They then moved to Lance Creek for 7 years. While they were there she worked as a nurse’s aide at the hospital in Lusk. They later moved to Gillette, Wyoming where she sold Avon for a few years. In 1990 they moved back to the family ranch in Jay Em. Beverly enjoyed gardening, canning, baking and cooking. Her family enjoyed her baking and cooking too, especially her cinnamon rolls. Beverly and Richard had 6 children. Beverly is survived by son Philip (Larisa), daughter Sandy (Tim), daughter Carol, son Mickey, son Ritchie (Yesenia) and daughter Teresa (Jason). She was also blessed with 14 grandkids and 15 great grandkids. Preceded in death by her husband Richard, mom Edna Stallman, father Jake Stallman and sister Betty Boston. Funeral Services will be held 11:00 a.m. Saturday, September 1, 2018 at the First Baptist Church in Lusk, Wyoming. Interment will follow at Lusk Cemetery.